THE public turned out in droves across the ACT and NSW last week to protest the destruction of native forests. It has been dubbed the "national forest uprising" by some community groups and led to one NSW Greens MP receiving a fine. 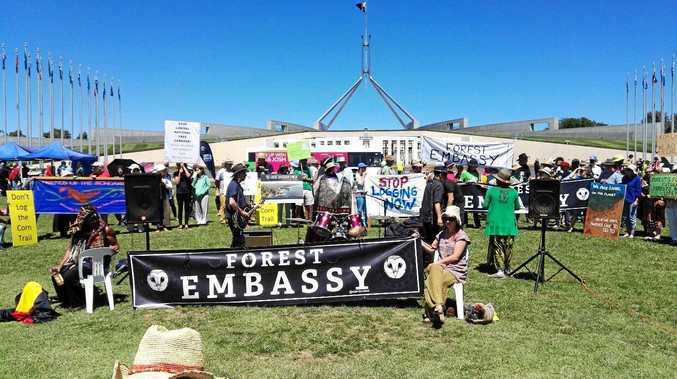 Protesters rallied to call on the government to stop further destruction of native forests, and the homes of wildlife whose lives depend on it. They gathered at Parliament House, in Wang Wauk State Forest, north of Port Stephens, Gibberagee State Forest, south of Lismore, Coffs Harbour and the Wauchope Forestry office. North East Forest Alliance (NEFA) spokesperson Susie Russell said the logging was a "crime against the future". "For the NSW government to permit logging in areas where its own scientists have identified important koala populations is tantamount to deliberate extermination," she said. "If Indonesia did this to orangutans, or the Chinese to giant pandas it would be an international scandal." Another NEFA spokesperson Dailan Pugh said koalas were the focus of the protests. "At Wang Waulk State Forest protectors obstructed truck access in an effort to highlight the heavy logging of Koala Hubs," he said. 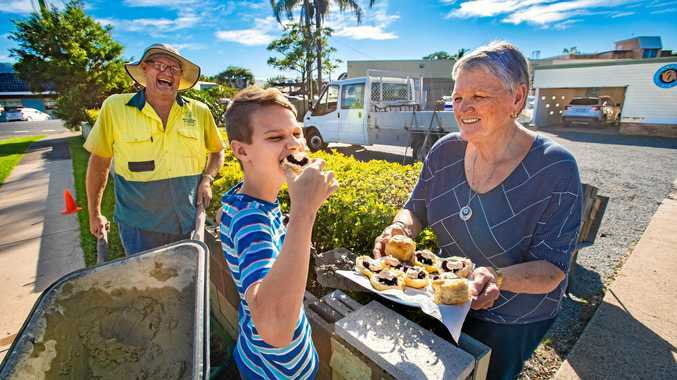 Protesters at the Wauchope Forestry office focussed on new rules that allow 140,000 hectares of native bush between Taree and Grafton for clearfelling, despite the area known to be koala habitat. focussed on the widespread population of koalas in the area. "A forester told the crowd they were in a closed forest and that they would be fined $100 dollars if they stayed, taking down the names and addresses of a number of people with the aim of fining or prosecuting them anytime in the next two years," he said. NSW Greens MP Dawn Walker was among those fined at the protest. "We are facing a biodiversity crisis, but rather than listen to overwhelming public opinion that wants to see our precious forests protected and our timber needs come from plantations, the NSW Government has continued down the path of forest destruction and extinction" she said. "In this public forest, the loggers have been caught-out breaching their own rules by failing to identify and protect koala habitat. What's shocking is that this forest is almost denuded of old, hollow-bearing trees that so many species rely on to reproduce, including owls, gliders and parrots." "It's tragic to see our forests continually logged for a short-term profit."